London, UK, Thursday, 10th May 2018 – Rising protectionism and higher interest rates could very well end up reversing the period of global economic growth the world has enjoyed since the end of the Great Recession, nearly a decade ago. That is according to Professor Dr Borislav Bjelicic, from the University of Mannheim, in Germany, who discussed the current global economic situation and outlook at The WACO Systems’ recent Annual General Meeting (AGM), in Warsaw, Poland. “The world economy is currently performing well but protectionism could very well lead to a trade war, and higher interest rates marking the end of the loose monetary policy could temper consumer demands,” he said. Bjelicic put the USA, Europe, and China’s economic zones under the scope, and highlighted the expected rises in interest rates, protectionism, and other factors as casting a shadow over the world economy. Dr Anselm Eggert, Vice President Strategy, Portfolio & Cooperations, Lufthansa Cargo, was also a keynote speaker at the three-day event, which was WACO’s 88th AGM, where he offered a more positive outlook after discussing the impact of digitisation on the airfreight industry. “The global middle class is growing by almost 400,000 people per day, which is great news for humanity,” said Eggert. The event welcomed 115 delegates representing 86 countries, who took part in hundreds of bilateral meetings to network and grow business. “From new technologies to an increasingly unpredictable political landscape, our industry is undergoing a period of great change,” said Richard Charles, Executive Director, The WACO System. 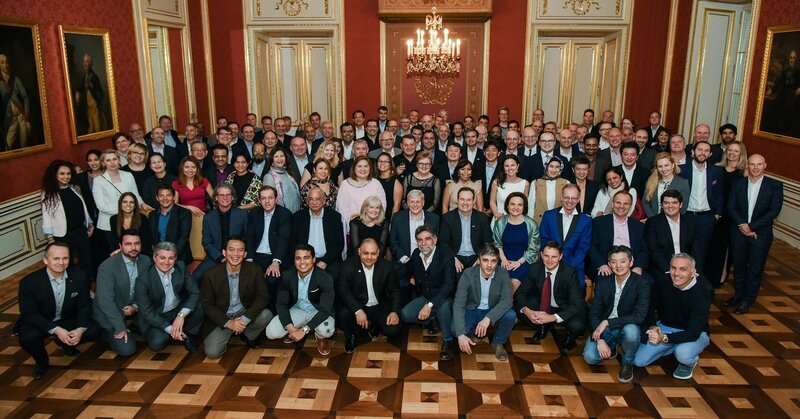 The WACO System, a global network of independent freight forwarders, holds two events a year, and its next event is the Extraordinary General Meeting (EGM) taking place in Manila, the Philippines from 15th – 17th October.